The laser sorting technology is based on TOMRA's bestselling near-infrared (NIR) and ultra-flexible AUTOSORT series, which has been an industry favorite with more than 4,000 installed units. TOMRA's AUTOSORT LASER offers a powerful sensor combination capable of detecting more material properties at the same point simultaneously, and therefore sorts material fractions more efficiently. Unlike competing technology, AUTOSORT LASER excels at separating thin, thick or opaque glass from Municipal Solid Waste (MSW). One of the first companies to use the AUTOSORT LASER is REMONDIS GmbH in Rheinland, Germany. Harry Amann, Site Manager commented on the installation: "We are very proud of having the first AUTOSORT LASER installed in our plant in Erftstadt. High cost savings and great output quality simplified our plant process. Needless to say, we expect a quick ROI on this project." AUTOSORT LASER has an independent background system ensuring sorting stability and makes it possible to separate thin, thick or opaque glass from transparent polymers, which are ever-increasingly used today in items such as injections, lighters, baby or cosmetic bottles. As a series standard, the AUTOSORT series it features a patented FLYING BEAM and FOURLINE technology for high speed and precision. With TOMRA's common user interface, operators can easily select from a variety of sorting programs on its touchscreen display, while its continuous calibration feature allows monitoring and optimization in real-time. Moreover, AUTOSORT LASER can be easily integrated due to its compact design and footprint. 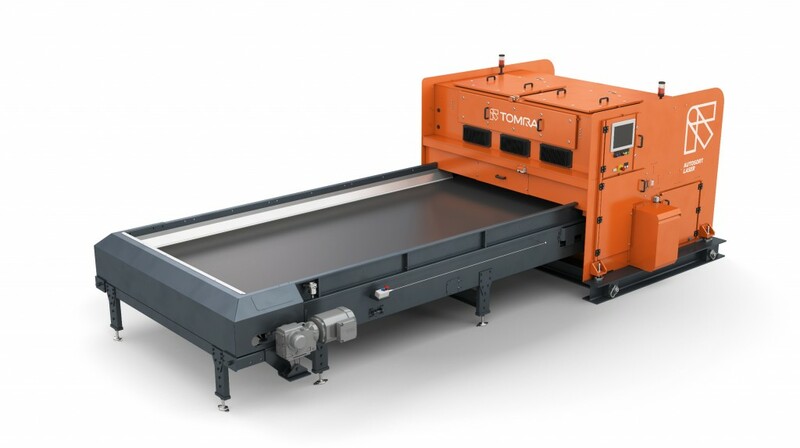 TOMRA´s new sorting machine has a unique mechanical design, which is built for highest safety standards and eases maintenance. The TOMRA group has used laser technology in its range of food sorting systems since 1997. As a globally established identification method, TOMRA-owned sorting technology has now been specially adapted and further developed for the unique needs of the recycling industry. Peter Mentenich, Senior Product Manager at TOMRA Sorting Recycling commented: "I'm very pleased to see the first successful installations and the launch of AUTOSORT LASER in our product portfolio. It ensures greater profitability for our customers and helps to significantly reduce the amount of material ending up in landfills. A good example again that sustainability and business are not mutually exclusive - both can be achieved with innovative waste management and recycling technology."